Gorgeous flowerpots. I would never have the time or funds for this one, but I still love love love it! Handprint bouquet... easy and sweet! Ice cream cone with adjective sprinkles. Cute, cute, cute! 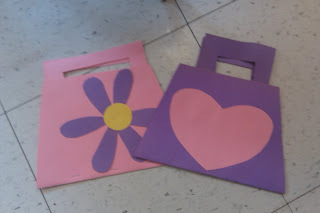 The purses turned out so cute!! I love the heart one! 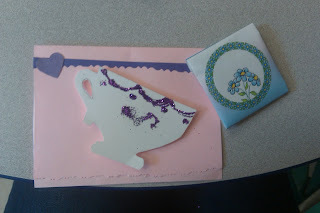 My daughter's class did handprint flower pots, and they invited us to "mother's day tea" where the kids sang "my girl" but replaced my girl with my mom. I cried, it was the sweetest thing ever!